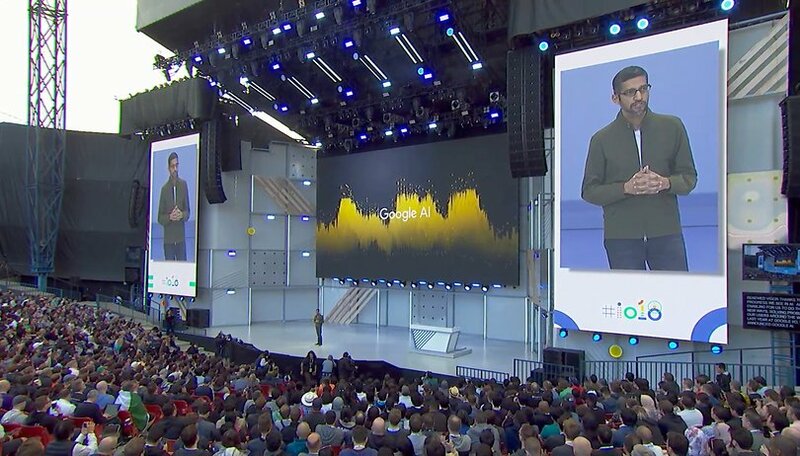 Google I/O is happening and we've already found out about new features from Google that could really revolutionize the way we use technology in our daily life. Want to know what are the most important highlights from the conference? We've picked out the most significant changes coming to the Google services you use everyday. Google AI in healthcare: can this tech save lives? In the video below, we'll take your through the most radical new developments happening in the Google ecosystem. These fantastic features really have the potential to change our lives! Google is taking the Assistant to a new level. Thanks to Conversational Mode, it now understands complex sentences with multiple requests and continuous conversations. Plus there’s now food pick-up & delivery, a more visual design on the phone and a less visual design for the car that’s less distracting while driving. Look out for the first features starting to roll out today. Google Duplex is definitely the highlight for busy people and introverts! Google Duplex makes phone calls for you and makes appointments with hairdressers or restaurants. While that level of complexity is a feature for the future, Google will start machine calling businesses in the coming weeks to figure out opening times on bank holidays. Google Maps will receive a new “for you” tab with personalized information from your neighborhoods. It shows you new places, trending places and now features personalized ratings just for you called the “your match” score. Also there’s VPS: a Visual Positioning System that uses the camera for walking directions in Google Navigation, including a cute AR fox leading the way. Gosh, I’ve lost count of how many times I’ve starting walking into the wrong direction. For now, Android P is all about intelligence, simplicity and digital wellbeing. According to Google, anyway. With App Actions and Slices, there will be a lot more cross-linking between different apps. When searching for Lyft for example, you receive Slices proposing specific rides with durations and prices to probable destinations like “home” or “work”. ML Kit will bring Machine Learning to a lot more applications. Watch out for your favorite nutrition app featuring image recognition for foods and food packages for counting calories. Android P will also receive a completely new Gesture navigation. Swipe up for an overview with recently used apps, swipe up again for all apps. And scroll sideways on the new home button to browse through recent apps. Lastly there’s a bunch of features helping you to chill out. Tell Android you want to go to bed at 11pm, and it’s gonna punish YouTube binge watching with turning the screen black & white. Or it greys out your favorite app after you used it more than you promised. The new Google News gives us a glimpse into the Web 3.0. Google will now automatically generate short so-called Newscasts with fragments from different sources. Plus with Full Coverage you’re supposed to get a full picture of a specific story including a timeline of the key events, automatically generated Q&As and: the same content for everybody. No filter bubbles. Look for a rollout today. Lastly there’s a lot of AI stuff coming the everyday things. Photos can now be shared automatically with the people in them, can be intelligently color corrected or in the future even colorized from black and white. Gmail will soon get Smart Mail Suggestions: think of it as the auto-complete that you already know from your favorite smartphone keyboard. It’ll come in the following weeks. What do you think of these new Google features? Are you looking forward to them? Wow, I find the new maps update interesting, at least I can now junket around my neighborhood. As for the Google P, I have already installed it on my Nokia 7 Plus. Wow, it change the entire looks of my phone with a notch and gesture control, I'm now like a newbie on my phone, because the three buttons has disappear, only a swipe to see multitasking menus and another longer swipe to see app drawer. I'm still learning all the new features though.